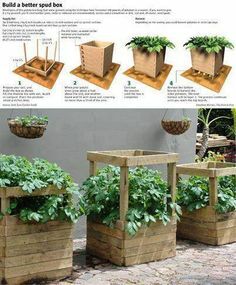 Wondering if it's really true that you can grow 100 pounds of potatoes in 4 square feet with these DIYgrowing boxes. Worth a try!Wondering if it's really true that you can grow 100 pounds of potatoes in 4 square feet with these DIYgrowing boxes. Worth a try!